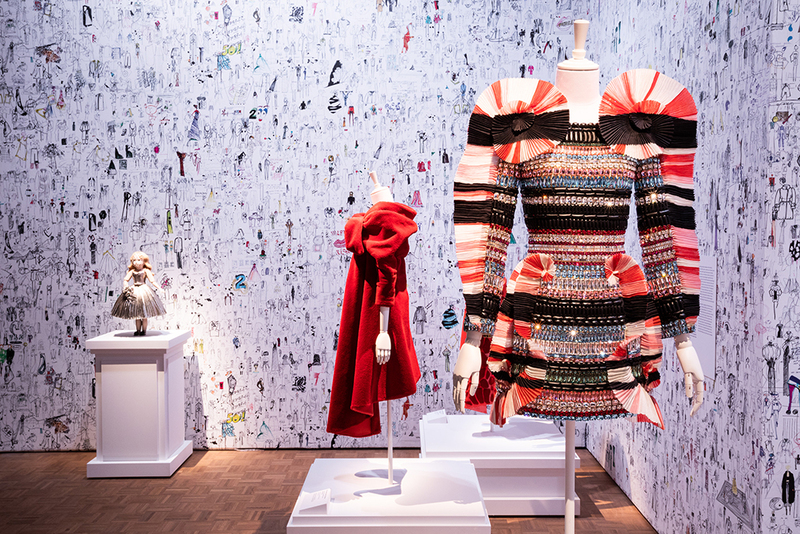 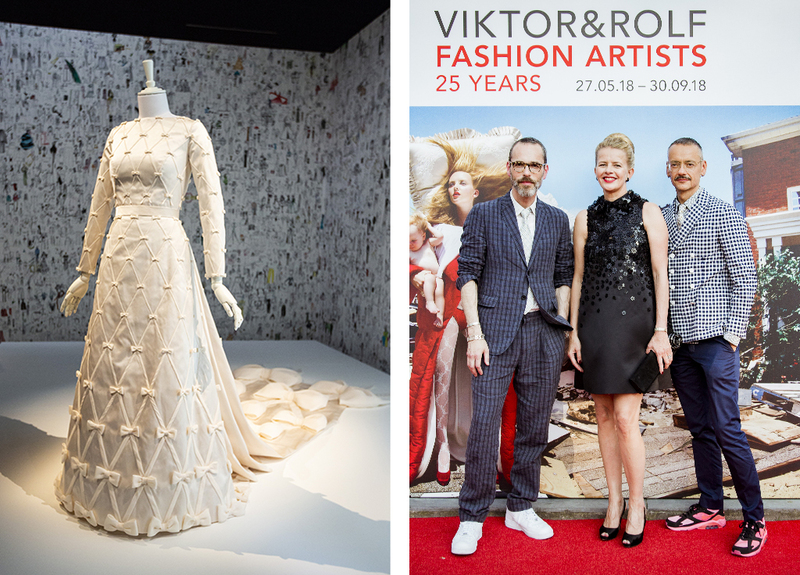 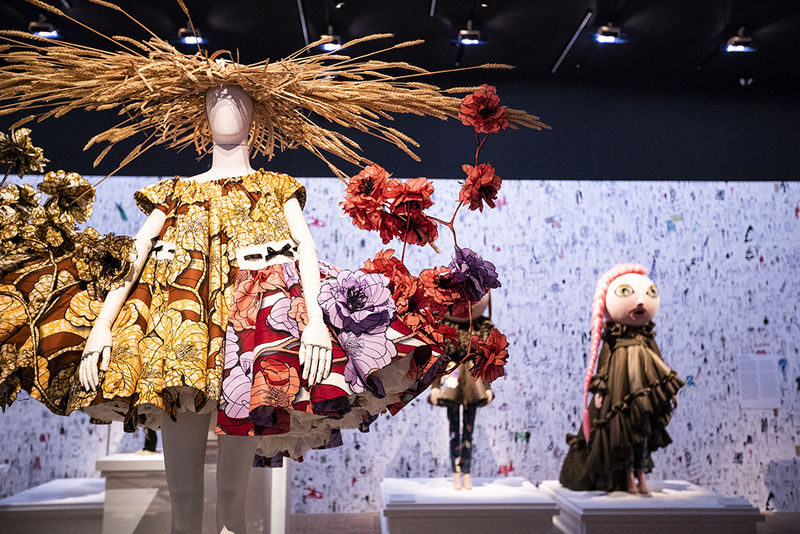 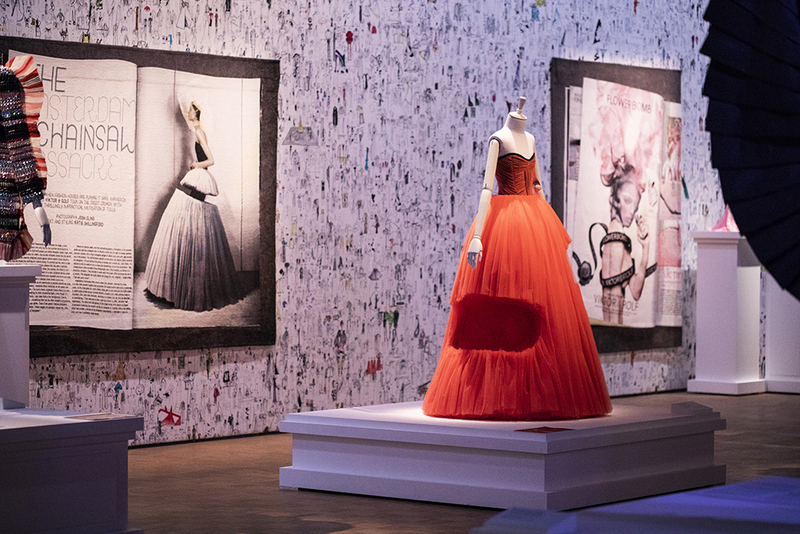 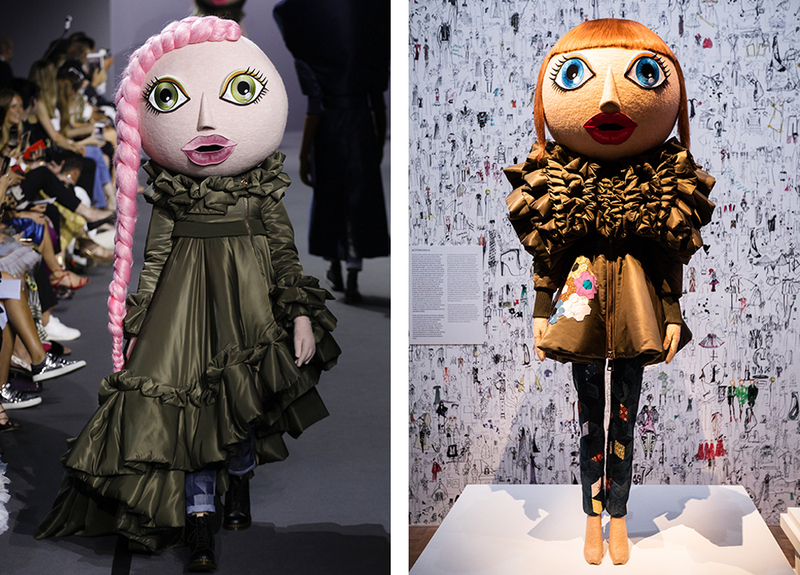 The exhibition ‘Viktor&Rolf: Fashion Artists 25 Years’, on the occasion of the twenty-fifth anniversary of the Amsterdam-based high fashion house Viktor&Rolf, shows some of the most impressive and innovative works by this Dutch design duo at the Kunsthal Rotterdam. 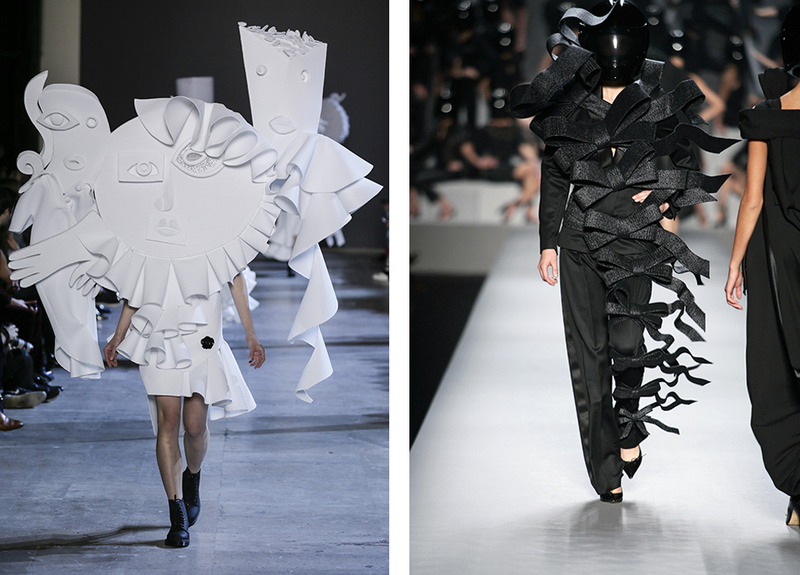 For the past 25 years the symbiotic collaboration between Viktor Horsting and Rolf Snoeren has led to works of uncompromising beauty and extraordinary collections. 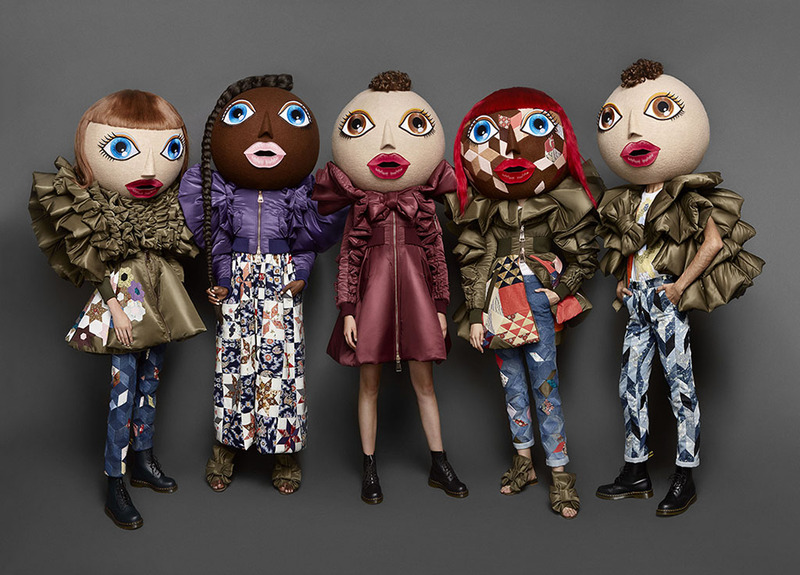 It is impossible to trace the results of their collaboration back to individual contributions. 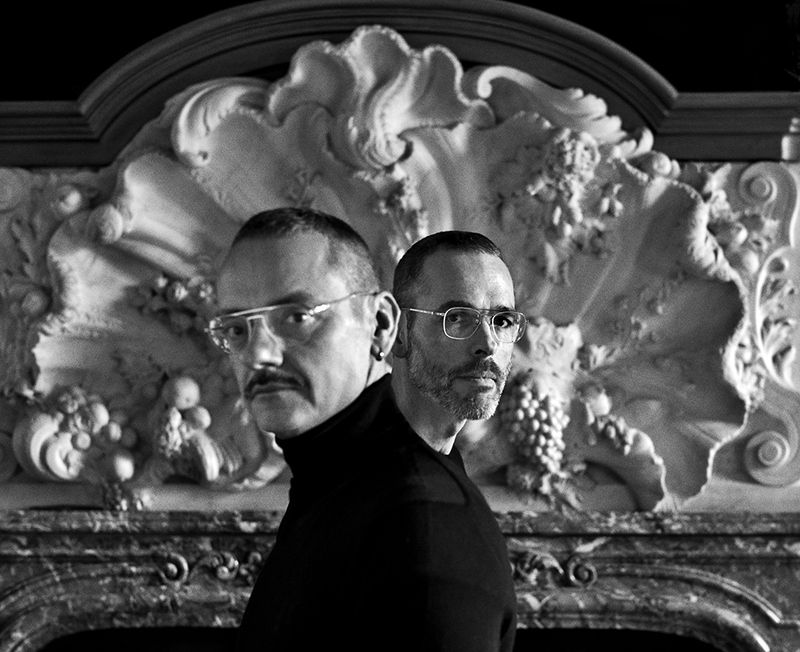 In their own words: “We often play with the idea of two people being one, or both of us being of one mind, and we play with our image to express that.” The recent portrait of Viktor&Rolf, especially shot for the exhibition by the Dutch photographer Anton Corbijn, is equally revealing in a visual sense. 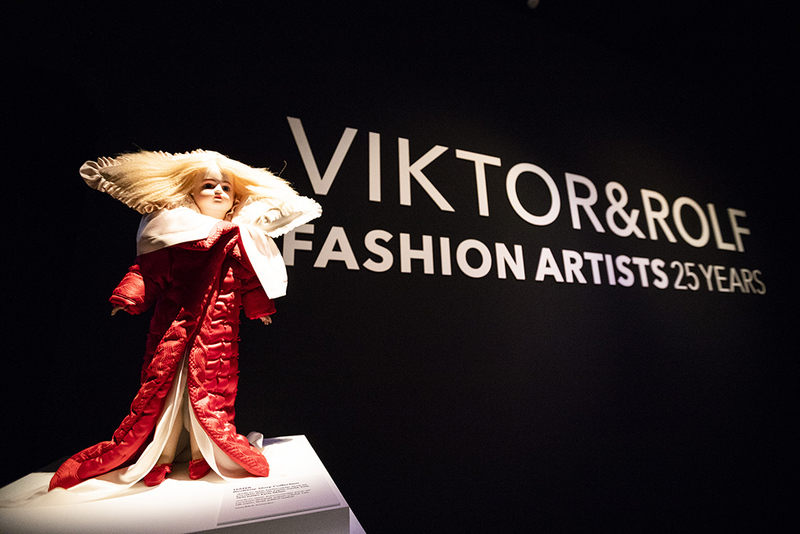 The exhibition ‘Viktor&Rolf: Fashion Artists 25 Years’ shows Viktor&Rolf’s radical conception of ‘wearable art’ and explores the elements that make their designs unique in the contemporary fashion world. 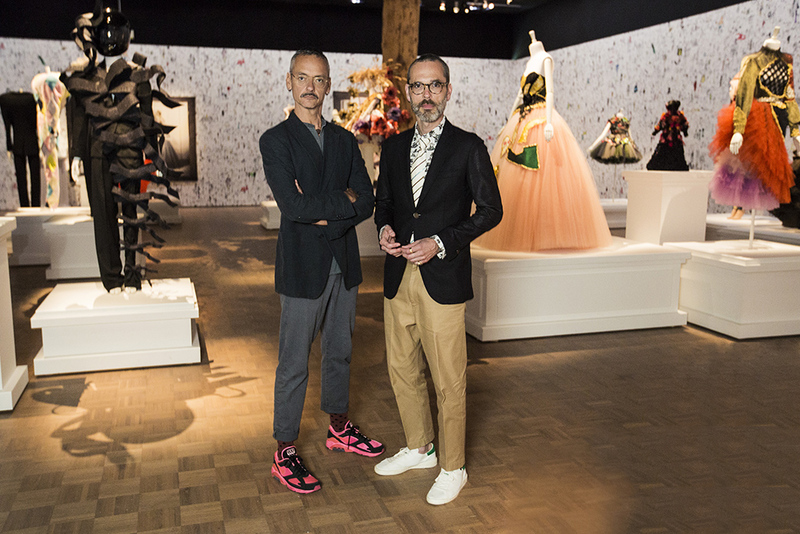 Throughout their illustrious career, Viktor&Rolf have carved a contradictory identity that pushes the boundaries between art and fashion, often contrasting romance and rebellion, exuberance and control, classicism and conceptualism. 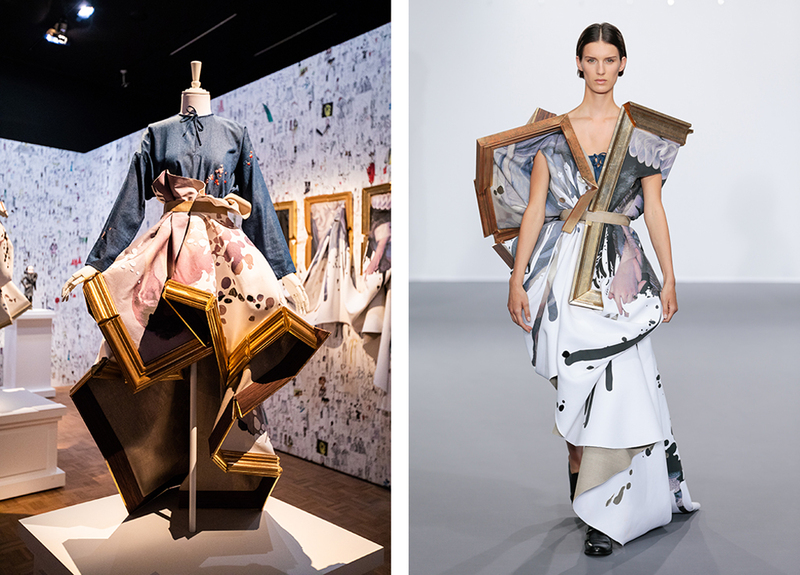 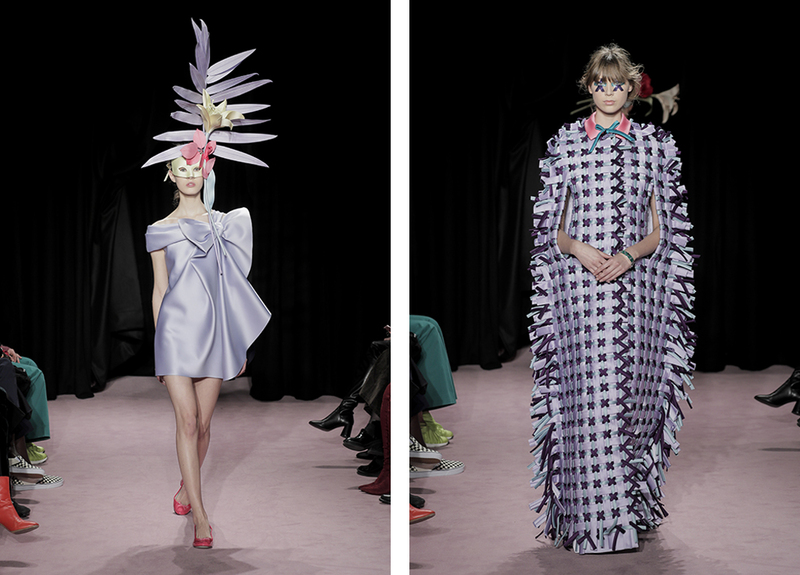 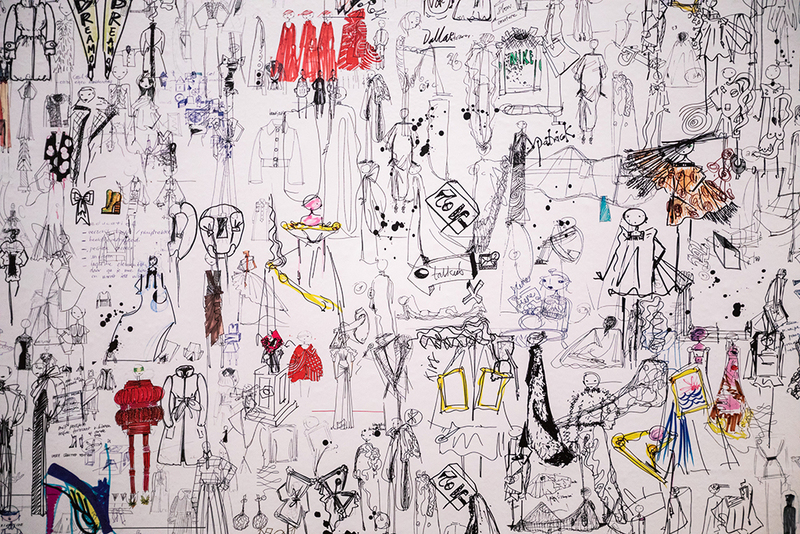 Around sixty works from Viktor&Rolf’s haute couture collections give an insight into their unconventional and conceptual approach, also showing that they have never shied away from criticising the fashion industry (of which they are a part themselves). 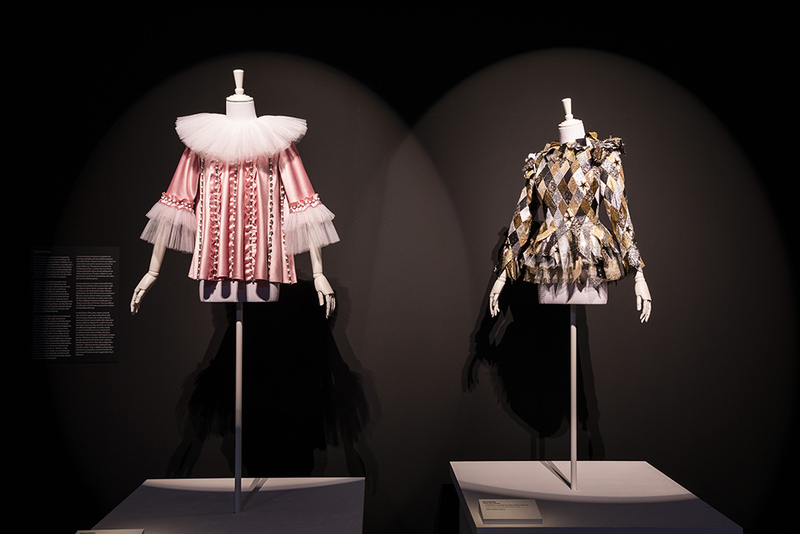 With regard to form and materials – the interplay of lines, volumes, bows, collars, ruffles etcetera – their creations are stunningly beautiful and technically perfect. 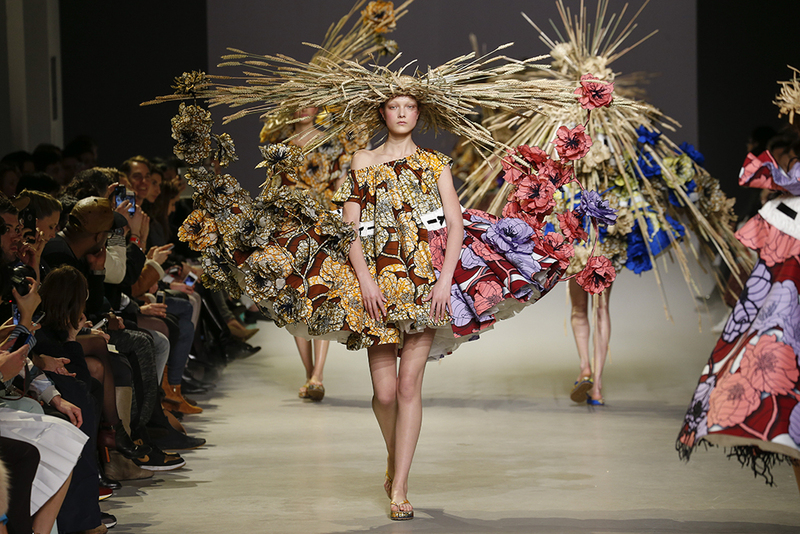 Their fashion shows are like powerfully eloquent ‘performances’. 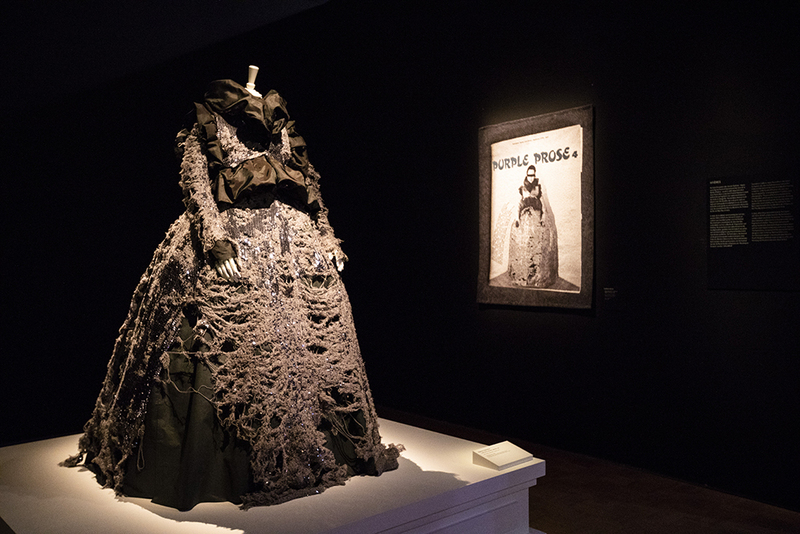 The 1999 Russian Doll show, for which Viktor&Rolf draped nine layers of clothing around a single woman, top model Maggie Rizer, meant their international breakthrough. 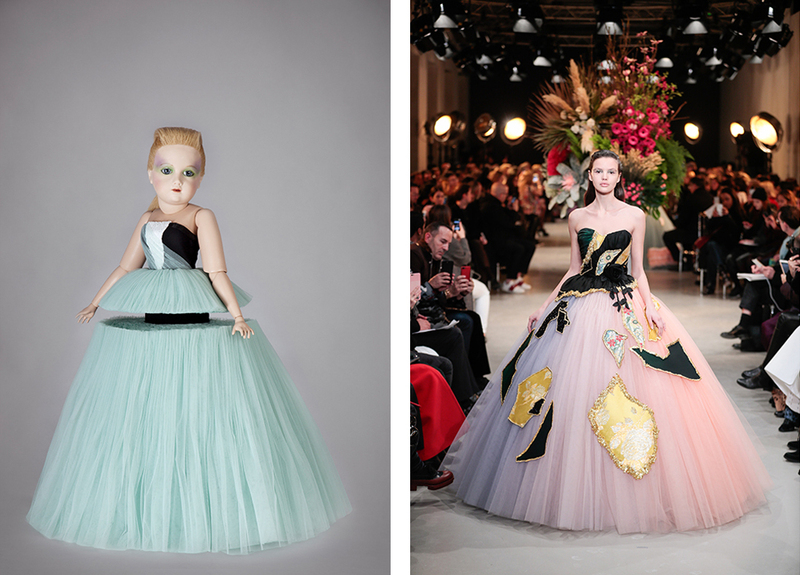 Subsequently many other high-profile haute couture shows followed. 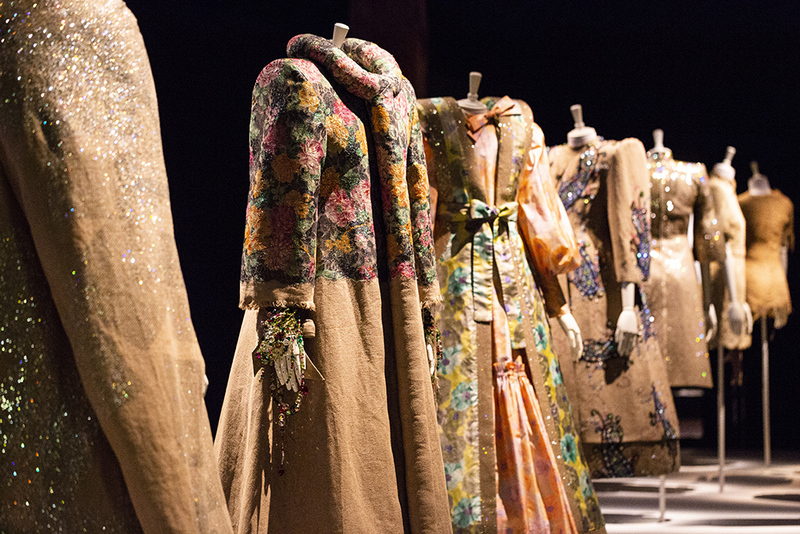 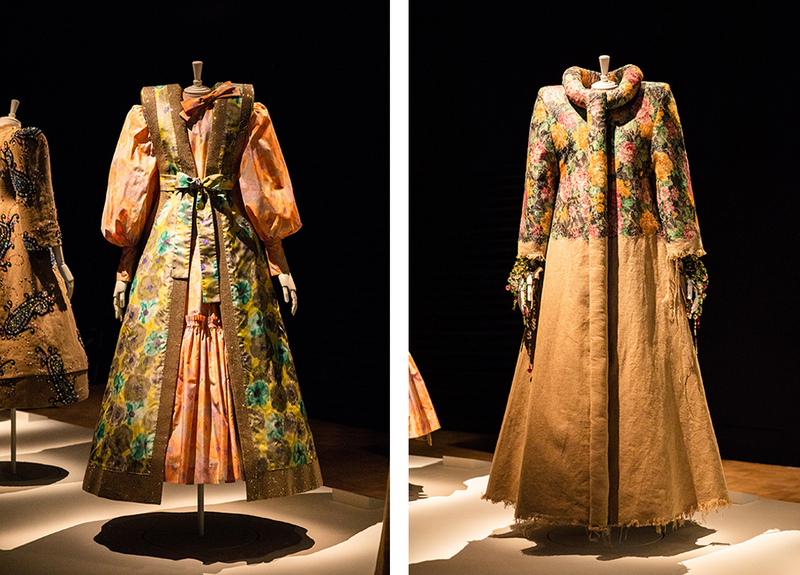 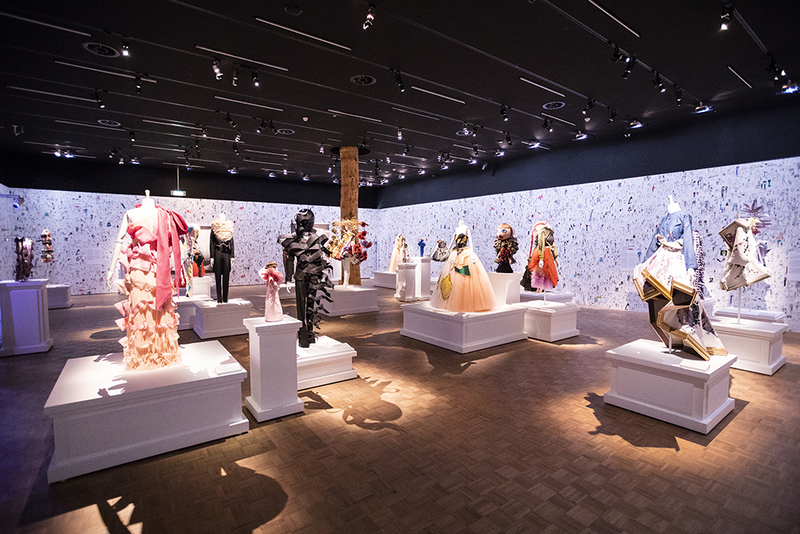 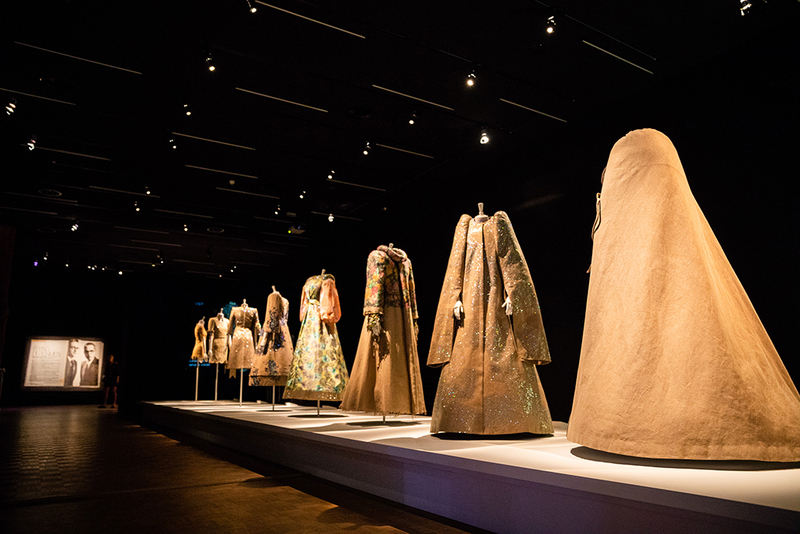 Creations from collections such as ‘Bedtime Story’ (2005), ‘The Fashion Show’ (2007), ‘NO’ (2008), ‘Cutting Edge Couture’ (2010), ‘Red Carpet Dressing’ (2014), ‘Wearable Art’ (2015) and ‘Van Gogh Girls’ (2015) can be seen in the exhibition, as well as pieces that have never been shown before from their newest collections, ‘Boulevard of Broken Dreams’ (2017), ‘Action Dolls’ (2017/18) and ‘Surreal Satin’ (2018).